1. Plan ahead by organizing and budgeting. Develop a master "to-do" list so you won't forget something critical on moving day, and create an estimate of moving costs. 2. Sort and get rid of things you no longer want or need. Have a garage sale, donate to a charity, or recycle. But don't throw out everything. If your inclination is to just toss it, you're probably right. However, it's possible to go overboard in the heat of the moment. Ask yourself how frequently you use an item and how you'd feel if you no longer had it. That will help eliminate regrets. 3. Pack similar items together. Put toys with toys, kitchen utensils with kitchen utensils. 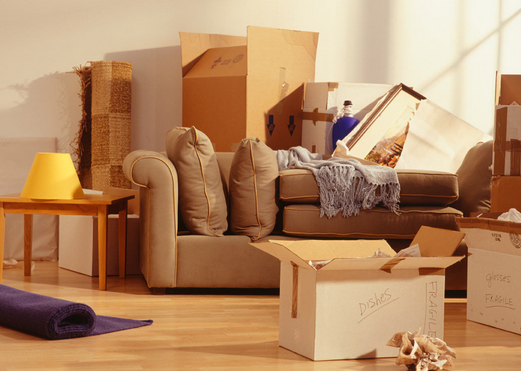 It will make your life easier when it's time to unpack. 4. Decide what, if anything, you plan to move on your own. Precious items such as family photos, valuable breakables, or must-haves during the move should probably stay with you. Don't forget to keep a "necessities" bag with tissues, snacks, and other items you'll need that day. 5. Remember, most movers won't take plants. If you don't want to leave them behind, you should plan on moving them yourself. 6. Use the right box for the item. Loose items are prone to breakage. 7. Put heavy items in small boxes so they're easier to lift. Keep the weight of each box under 50 pounds, if possible. 8. Don't over-pack boxes. It increases the likelihood that items inside the box will break. 9. Wrap every fragile item separately and pad the bottom and sides of boxes. If necessary, purchase bubble-wrap or other packing materials from moving stores. 10. Label every box on all sides. You never know how they'll be stacked, and you don't want to have to move other boxes aside to find out what's there. 12. Keep your moving documents together in a file. Include important phone numbers, driver's name, and moving van number. Also keep your address book handy. 13. Print out a map and directions for movers. Make several copies, and highlight the route. Include your cell phone number on the map. You don't want movers to get lost! Also make copies for friends or family who are lending a hand on moving day.